Sudburyite: Mineral information, data and localities. Member of the triple system PdTe-PdBi-PdSb with a continuous isomorphic series along Te-Bi and Bi-Sb sides of triangle. Isomorphism along Te-Sb side is complicated in absence of Bi especially for high-Te compositions. Named after its discovery locality. Sudbury, Ontario, Canada. Member of isomorphic series Sudburyite-Sobolevskite and Sudburyite-Kotulskite. C : With Ni, Fe, Co, PGE, etc. Breithauptite 3 photos of Sudburyite associated with Breithauptite on mindat.org. Chalcopyrite 3 photos of Sudburyite associated with Chalcopyrite on mindat.org. Gersdorffite 2 photos of Sudburyite associated with Gersdorffite on mindat.org. Pyrrhotite 2 photos of Sudburyite associated with Pyrrhotite on mindat.org. Geversite 1 photo of Sudburyite associated with Geversite on mindat.org. Froodite 1 photo of Sudburyite associated with Froodite on mindat.org. Paolovite 1 photo of Sudburyite associated with Paolovite on mindat.org. Silver 1 photo of Sudburyite associated with Silver on mindat.org. Mooihoekite 1 photo of Sudburyite associated with Mooihoekite on mindat.org. Phlogopite 1 photo of Sudburyite associated with Phlogopite on mindat.org. CABRI, L.J. & LAFLAMME, J.H.G. (1974 ): Sudburyite, a new palladium-antimony mineral from Sudbury, Ontario. Canadian Mineralogist 12, 275-279. FU, PING-CHIU, KUNG YU-HUA & LIU CHANG (1979): Crystal structure of sudburyite. Ti Ch=iu Hua Hseuh, 72-75 (in Chinese). Cuzens, H. (2010) The Genesis and Spatial Distribution of Platinum-Group Elements in the Coronation Hill Deposit, Northern Territory, Australia. University of Western Australia. Hudson, D.R. (1986) Platinum-group minerals from the Kambalda nickel deposits, Western Australia, Economic Geology, Vol 81, No.5 pp.1218-1225. Prichard, H. M., Fisher, P. C., McDonald, I., Knight, R., Sharp, D. and Williams, J. (2013): The distribution of PGE and the role of arsenic as a collector of PGE in the Spotted Quoll nickel ore deposit in the Forrestania Greenstone Belt, Western Australia. Economic Geology 108, 1903-1921. Garuti, G., Zaccarini, F., Proenza, J. A., Thalhammer, O. A., & Angeli, N. (2012). Platinum-group minerals in chromitites of the Niquelândia layered intrusion (Central Goias, Brazil): Their magmatic origin and low-temperature reworking during serpentinization and lateritic weathering. Minerals, 2(4), 365-384. 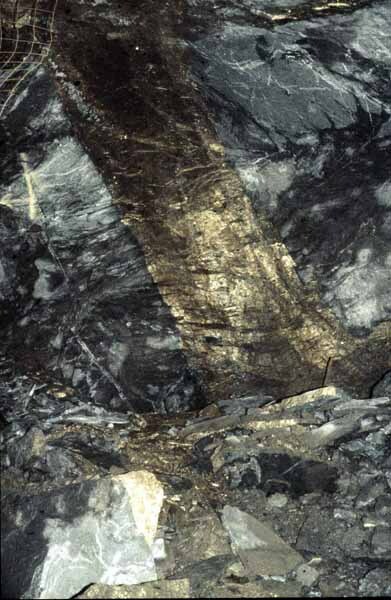 Y. Chen, M. E. Fleet and Y. Pan (1993) Platinum-group minerals and gold in Arsenic-rich ore at the Thompson mine, Thompson Nickel Belt, Manitoba, Canada. 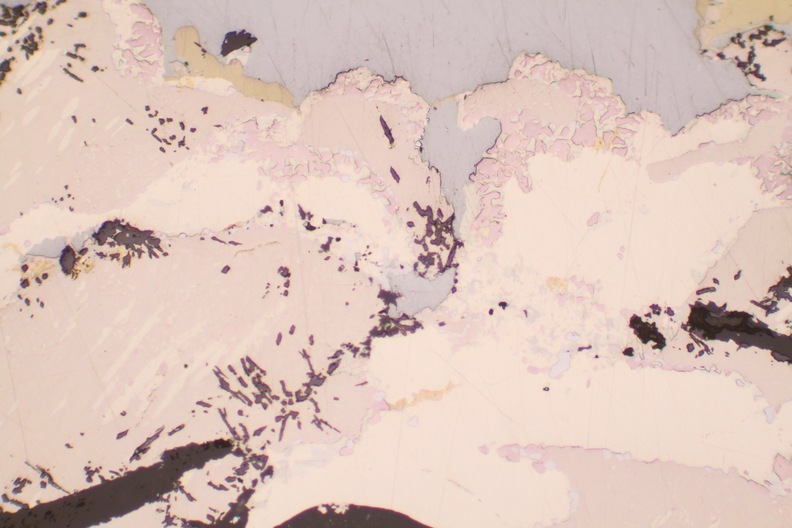 Mineralogy and Petrology 49:127-146; Chen, Yuan, "Precious-metal Mineralization And Sulfide-silicate Relationships In Some Canadian Nickel-copper Sulfide Deposits: Thompson Mine, Manitoba; Sudbury, Ontario; Dundonald Beach, Ontario" (1993). Digitized Theses. Paper 2231. Bull. Soc. Franç. Minéralo. Cristallo. , 1974, 97, pp. 511. Mcdonald, A.M., Cabri, L.J., Stanley, C.J., Good, D.J., Redpath, J., Lane, G., Spratt, J. & Ames, D.E. (2015) Coldwellite, Pd3Ag2S, a new mineral species from the Marathon deposit, Coldwell complex, Ontario, Canada. Canadian Mineralogist 53, 1-13. Beaudoin, G., Laurent, R. & Ohnenstetter, D. (1990) First report of platinum-group minerals at Blue Lake, Labrador Through, Quebec. Canadian Mineralogist 28, 409-418. Helmy, H. M., Stumpfl, E. F., & Kamel, O. A. (1995). Platinum-group minerals from the metamorphosed Abu Swayel Cu-Ni-PGE deposit, South Eastern Desert, Egypt. Economic Geology and the Bulletin of the Society of Economic Geologists, 90(8), 2350-2360. Gervilla,H., Papunen, H., Kojonen, K. and Johanson, B. 1998. Platinum-Palladium- and Gold-rich arsenide ores from the Kylmäkoski Ni-Cu deposit. 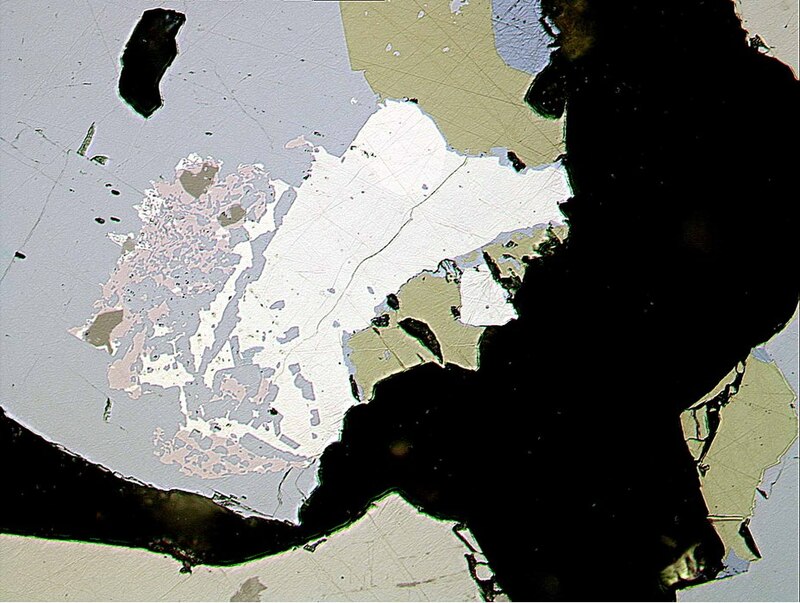 (Vammala Nickel Belt, SW Finland) Mineralogy and Petrology (1998) 64, 163-185.; Gervilla, F., Papunen, H., Kojonen, K., & Johanson, B. (1998). 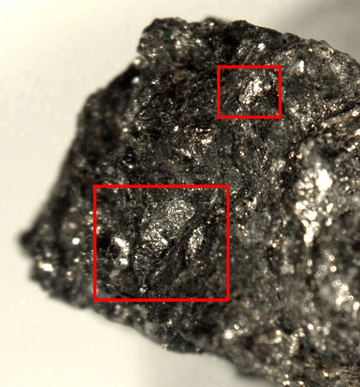 Platinum-, palladium-and gold-rich arsenide ores from the Kylmäkoski Ni-Cu deposit. Mineralogy and Petrology, 64(1-4), 163-185. Sandmann, D., & Gutzmer, J. (2015). Nature and distribution of PGE mineralisation in gabbroic rocks of the Lusatian Block, Saxony, Germany Art und Verbreitung der PGE-Mineralisation in den gabbroiden Gesteinen des Lausitzer Blocks, Sachsen, Deutschland. Zeitschrift der Deutschen Gesellschaft für Geowissenschaften, 166(1), 35-53. Augé, T., Bailly, L., Cocherie, A., Genna, A., Guerrot, C., Lerouge, C., ... & Patra, R. N. (2002, July). Magmatic and Hydrothermal Platinum-Group Element Mineralization in the Baula Area, Orissa, India. In Proceedings of the 9th International Platinum Symposium (pp. 21-24). Lennikov, A. M., Zalishak, B. L., & Oktyabrsky, R. A. (2004). The Konder massif of ultramafic and alkaline rocks and related PGM mineralization. In Interim IAGOD Conf. Excursion Guidebook. Vladivostok: Dalnauka (p. 29). Spiridonov, E. M., E. A. Kulagov, A. A. Serova, I. M. Kulikova, N. N. Korotaeva, E. V. Sereda, I. N. Tushentsova, S. N. Belyakov, and N. N. Zhukov. "Genetic Pd, Pt, Au, Ag, and Rh mineralogy in Noril’sk sulfide ores." Geology of Ore Deposits 57, no. 5 (2015): 402-432. Jambor, J.L. and Roberts, A.C. (2001) New mineral names. American Mineralogist: 86: 197-200.; American Mineralogist: 85: 199. Holwell, D. A., McDonald, I., & Armitage, P. E. B. (2006). Platinum-group mineral assemblages in the Platreef at the Sandsloot Mine, northern Bushveld Complex, South Africa. Mineralogical Magazine, 70(1), 83-101.; HOLWELL D.A., MCDONALD I. & ARMITAGE, P.E.B. (2006). Platinum-group mineral assemblages in the Platreef at the South Central Pit, Sandsloot Mine, northern Bushveld Complex, South Africa. Mineralogical Magazine, 70, 83-101. Maier, W. D., Barnes, S. J., Sarkar, A., Ripley, E., Li, C., & Livesey, T. (2010). The Kabanga Ni sulfide deposit, Tanzania: I. Geology, petrography, silicate rock geochemistry, and sulfur and oxygen isotopes. Mineralium Deposita, 45(5), 419-441. Smith and Barnes (2011) Pennsylvania Geology v. 41, no. 3/4.